Install using finishing nails and glue. Select an adhesive appropriate to the application. When you want to add the ultimate finishing touch, corbels are the perfect choice for either interior or exterior applications. Fypon craftsmanship is evident in every exquisite detail. Our collection of corbels will expand your design possibilities and help define the character of any home or room. Ornamental Mouldings 3003PKWHW ornament has a finely detailed embossed motif and is perfect for adding embellishment to any dicor. Useful in a range of applications including cabinets, wall panels, mantels and crafting projects. Ornaments convey a visual language by echoing motifs and usage throughout history exemplary of unique aesthetics. Embossed Acanthus Wood Ornament 5-1/2 X 2-3/4 - 2 pc per Card Be inspired. Decorative wood ornaments are the perfect accents for walls, furniture, cabinetry, doors or craft projects. Use your imagination and creativity to add flair and your personal touch. Dream, design, build. 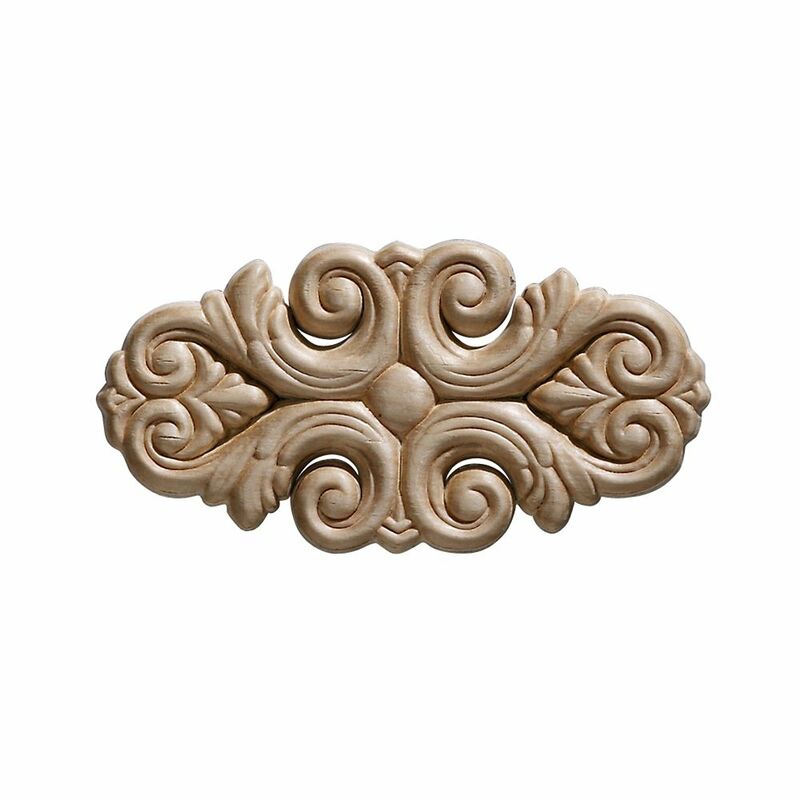 Embossed Acanthus Wood Ornament 5-1/2 X 2-3/4 - 2 pc per Card is rated 5.0 out of 5 by 5. Rated 5 out of 5 by HomeDepotCustomer from Everything that I expected.... Everything that I expected. Rated 5 out of 5 by Fish from Arrived on time and was exactly what I expected the... Arrived on time and was exactly what I expected the product to be. Rated 5 out of 5 by Jason from very nice decorative piece for mantel When you put it on your mantel for the final touch up, it looks very nice! Ordered online and arrived in 5 days. Very happy about the product. Rated 5 out of 5 by JCPS from Acanthus Moulding Used to add decoration to a plain wooden chest. Attached easily. Looks great. Order arrived quickly.